Heading out of Behramkale, I thought that visiting an island would be relaxing, and since there are only two islands of Turkey, I should visit one of the two. 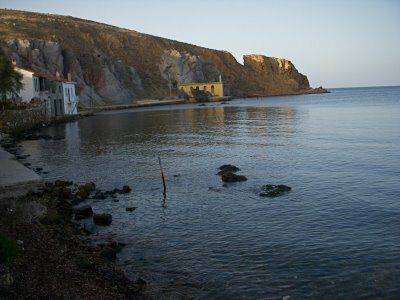 Bozcaada is one of the two islands that are of Turkey in the Aegean Sea. The boat trip is only 3 YTL, which is a big difference than heading to a Greek island from Turkey. The Pelasginas were the first people to inhabit Bozcaada around 2000 BCE. 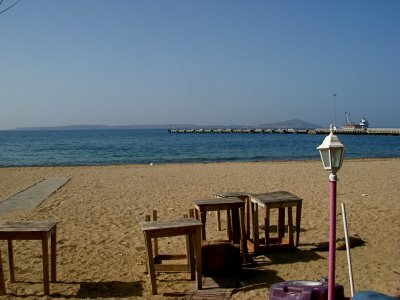 The Persians, Romans, and Byzantines settled on the land, not until the Ottomans inhabited the land that marks the beginning of modern times for Bozcaada. For centuries, Muslims and Christians have lived side by side in concord on Bozcaada. The island has two mosques and one church that date back to the Venetians era. 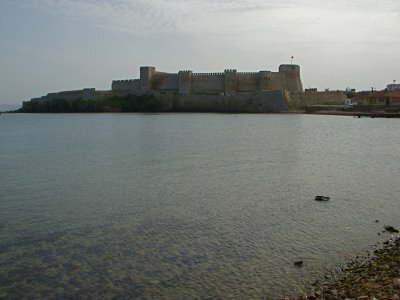 The castle is situated by the harbor and is in excellent condition. 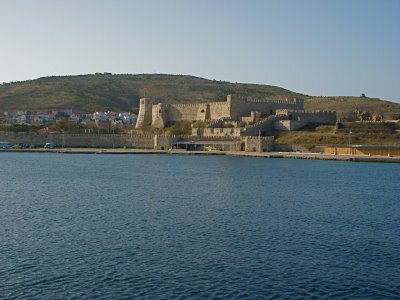 Unique is the castle compared to other Aegean islands. The island from the mainland. I stayed at a pleasant pension after bargaining with the older man, he was determined to have me as a guest, even though I was the only person at the pension. It is a delightful island for a visit from the mainland of Turkey without having to pay an entry and departure tax. Next post: Troy and The Trojan War.